My mother retired from her job in 1975 and over the next twenty years she took four trips to Poland, three on her own. During that time period she also moved to Grand Rapids to be near me and my husband, Dan. 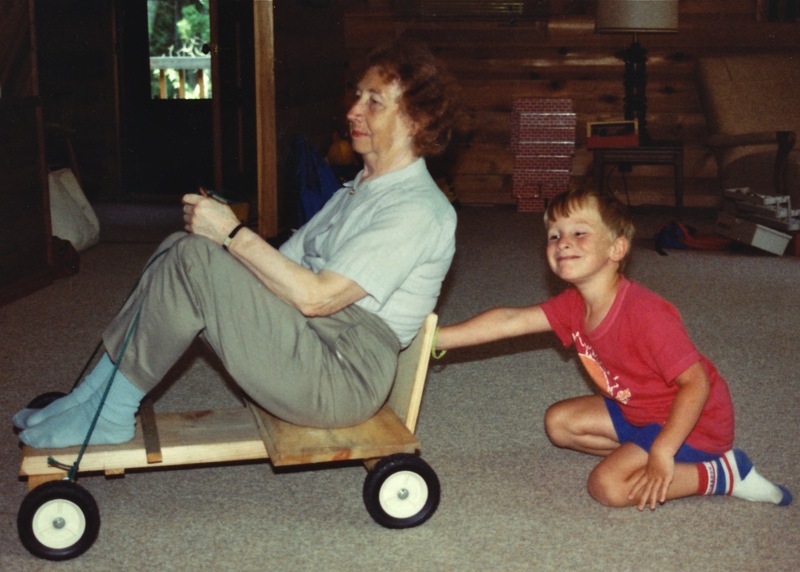 A new phase of her life began in 1985, when she became a grandmother. 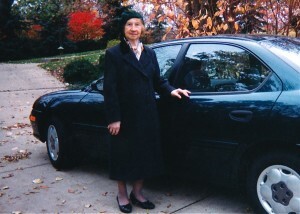 Her devotion to her grandson, John, and their very special relationship lasted until her death, at the age of 100, on December 2, 2010. A Polish Doctor in the Nazi Camps is dedicated to John. 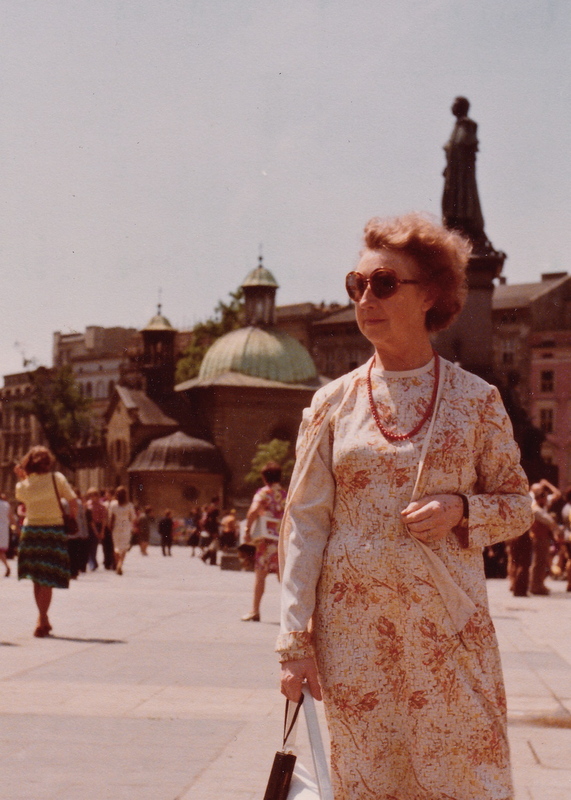 (321) My mother visiting the main square of Old Town Kraków during a trip she took by herself to Poland in 1977. 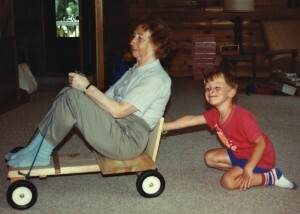 (325) John and his Babcia (80 years old) on vacation in northern Michigan (1990). 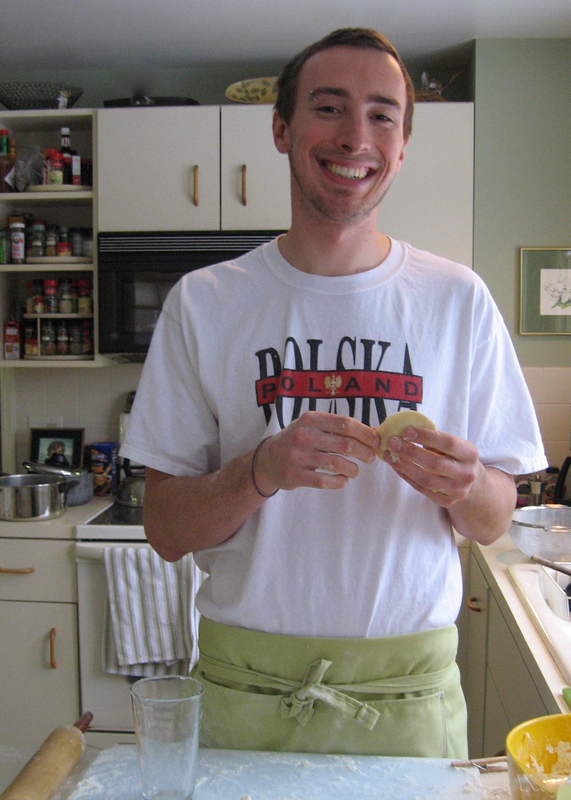 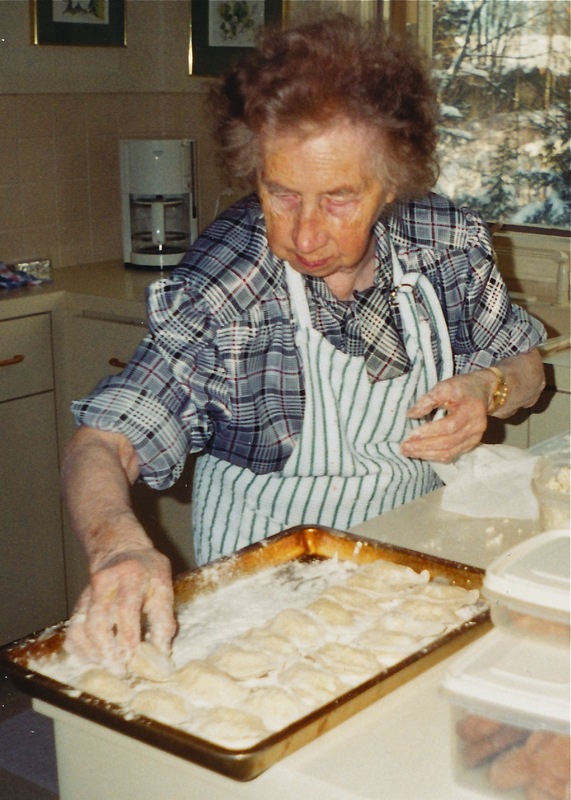 (321-322) Continuing the Polish traditions: my mother and John making pierogi (cheese and potato-filled dumplings) on Christmas Eve (Grand Rapids, 2000 and 2008). 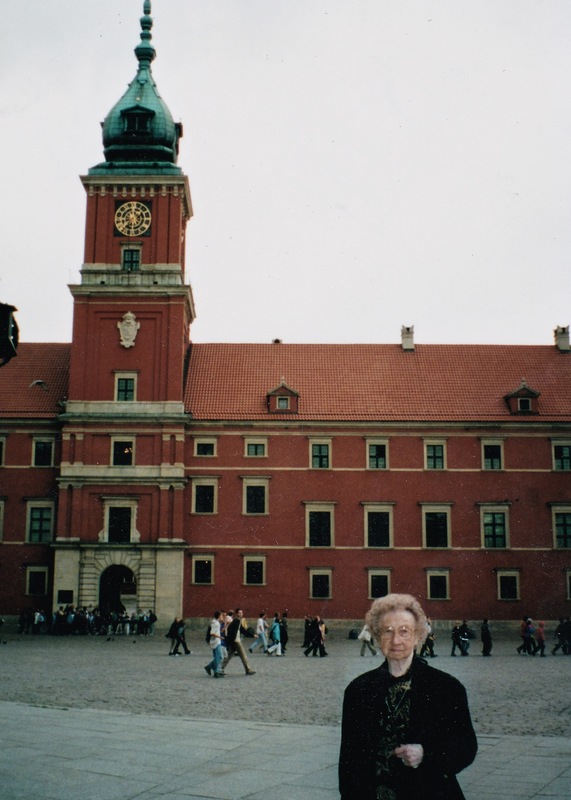 (327) My mother in front of the Royal Castle, Old Town Warsaw, during her last trip to Poland that we took together in 2001. (333) My mother and her Dodge Neon, still driving at the age of 94 (Grand Rapids, 2004).